Growing sea ice surrounding Antarctica could prompt scientists to consider relocating research stations on the continent, according to the operations manager of the Australian Antarctic Division. Rob Wooding said that resupplying Australia's Mawson Station -- the longest continuously operated outpost in Antarctica -- relied on access to a bay, a task increasingly complicated by sea ice blocking the way. "We are noticing that the sea ice situation is becoming more difficult," Wooding told a media briefing on Monday ahead of two days of meetings between top Antarctic science and logistics experts in Hobart, the capital of Tasmania. Wooding said that at Mawson, the ice typically only breaks up for one or two months of the summer, but in the last four to six years this has not happened every year, and some years only partially. "In the 2013-4 season we couldn't get anywhere near Mawson due to the sea ice and we had to get fuel in there by helicopter which is inadequate for the long-term sustainability of the station," he said, adding that the French and Japanese had similar problems. Wooding said Australia had not yet come close to shutting down a base because of sea ice, but had to look at "unusual measures" to keep operating. Tony Worby, from an Australian centre studying Antarctic climate and ecosystems, said that in contrast to the Arctic where global warming is causing ice to melt and glaciers to shrink, sea ice around Antarctica was increasing. It hit a new record in September last year, with the US-based National Snow and Ice Data Center reporting that the ice averaged 20.0 million square kilometres (7.72 million square miles) during the month. Scientists have struggled to predict sea ice conditions, which are believed to be affected by the strong winds of the Southern Ocean which can push the ice out from the continent of Antarctica. This does not happen in the Arctic because the ocean is hemmed in by land masses. 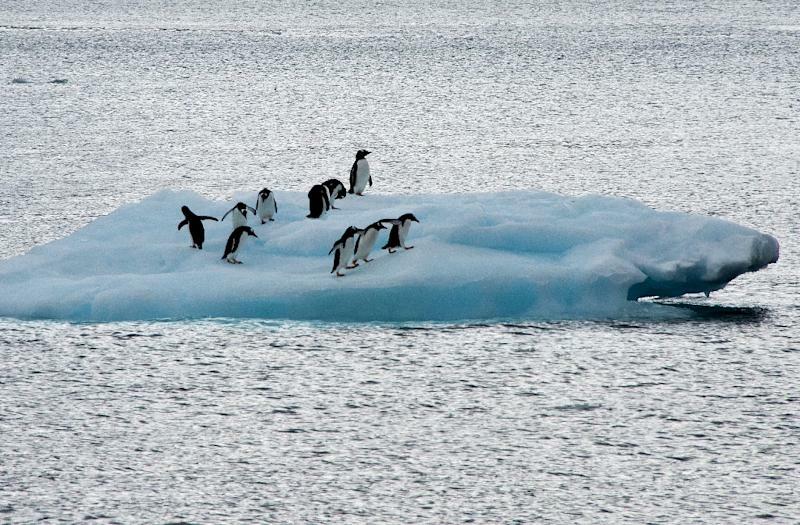 "We know that the changing Antarctic sea ice extent is very largely driven by changes in wind," Worby said. Local conditions can also have a dramatic effect, with icebergs sometimes unpredictably grounding themselves in inconvenient locations and staying there for years as more sea ice builds around them. Wooding said potential solutions included using large aircraft to deliver crucial fuel and other supplies to the outposts, as well as hovercraft, or funding other ways to resupply stations. "I think a lot of it really will revolve around perhaps shifting more to an over-ice approach, or to even thinking about where your stations are located -- I think (that) is something that will have to be looked at over time as well," he said. "There are some spots that may become more difficult for operations." Worby said he did not believe the ice would become so thick that operations would become impossible. 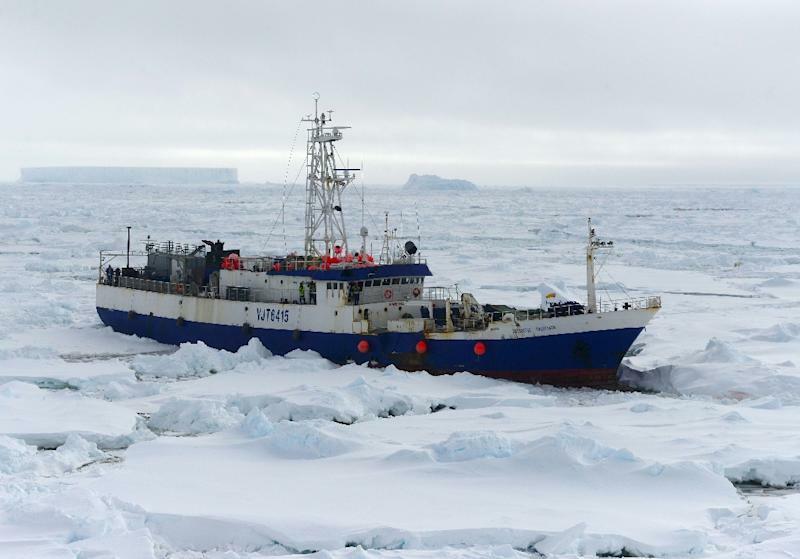 But he told the briefing: "It's almost an inevitability that we are going to get ships stuck occasionally -- it's just the nature of working down in Antarctica." He said because the ice was thickest around the continent, sometimes several metres, logistics teams could unload heavy equipment such as tractors off ships and drive them ashore. Worby added that while Antarctic sea ice was increasing, the overall net trend remained modest while a significant component of the increase seen recently could be natural variability.